With dear friend Davis along for the ride, we break down the biggest news from Google IO 2018. Plus we cover Microsoft Build, new gear, Net Neutrality and so much more! It's a whole truckload of news this week, as we document cosmic shifts in the technology universe. 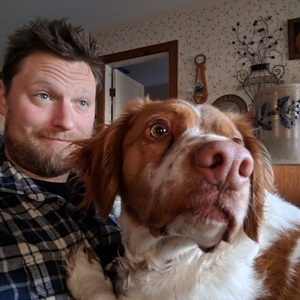 Microsoft has their own Linux and closes the WIndows department, native Linux Apps on ChromeOS, PocketCasts bought by public radio, a new Ubuntu and so much more! Just the news this week... Short, sweet, and straight to the point, yet still so satisfying. We sink our teeth into lootbox laws, 2nd Gen Ryzen CPUs, nVidia's GeForce Partnership Program and more in this week's tasty morsel! It's our dear Jacob's 30th birthday and what better way to spend than at the American Classic Arcade Museum also known as "Funspot" in New Hampshire. Upright Arcade games and pinball as far as the eye can see! 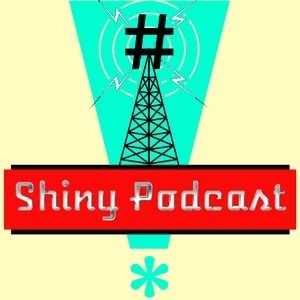 The Shiny Podcast takes you there with a special short episode we recorded live on location. It's a little different this week, no news, new depressing headlines... just fun. Please forgive us for the rough audio! We'll be back with your regularly scheduled Shiny very soon. So, first things first. We've been gone for a while, and for that we are deeply sorry. And we really really appreciate you listening to some of our old episodes and hanging in there but we are back! Some adulting needed to take place but we're rolling back adulthood to continue to bring you this podcast. This week we address more FCC updates, there's a car on the way to Mars and you can track where it is, AMD is being, just super cool, Intel dealing with at least 32 lawsuits, and more! This week we manage to turn a slow tech news cycle and no deep dive into a regular length show! It's a podcast miracle! We tackle subjects like Chromecast messing with your WiFi, Nintendo's brand new line of cardboard accessories, Intel just doesn't get it, and more! This week we do some CES 2018 roundup through the 3rd day of the event and with guest host Jared Beerman of Beerman Photography (@beermanphotography on Instagram) returning we talk about all his new toys he got for Christmas and future projects. It's time to catch up after the holidays and bring you a rocking round up of everything that's been happening in technology since the last chat. We tackle the Meltdown and Spectre vulnerabilities that everyone is freaking out about and explain why you should freak out, too! Plus, the dirt on crypto-mining, great games coming out this year, spats between the tech giants, our predictions for 2018 and so much more! Episode 12: "I Have a Bad Feeling About This..."
2017 is drawing to a close and Shiny settles up with a new holiday tradition: a brand new Star Wars movie! But is there a disturbance in the force? PLUS, the Dark Side of Mozilla, UFOs, Net Neutrality, Disney buying Fox and SO much more!